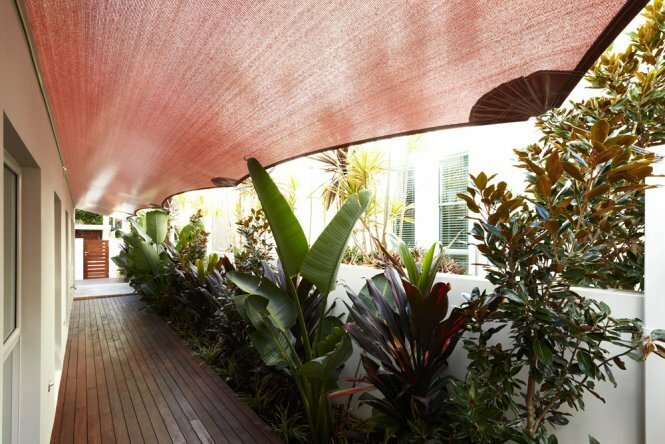 Global Shade’s custom made shade sails are the perfect shade solution for both residential and commercial applications. 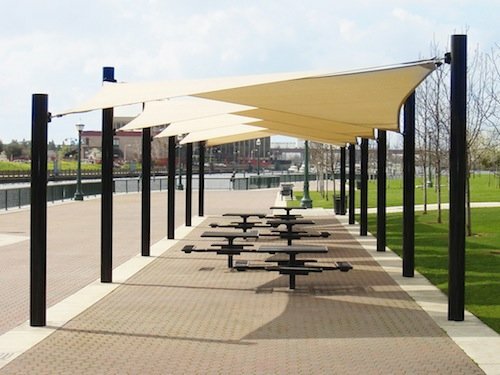 They are lightweight, flexible and offer excellent UVR protection, and best of all, they are a cost-effective alternative to permanent shade structures and other conventional shade products. 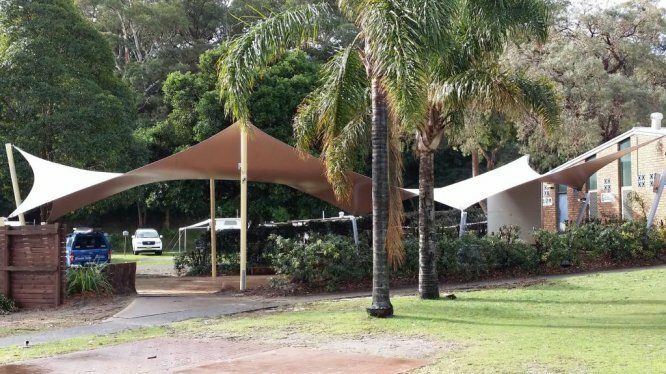 While our shade sails are manufactured to meet the needs of individual clients, we also offer DIY shade sails, which are available in pre-engineered designs. Whether you’re after a standard shade sail, a waterproof shade sail or a DIY shade sail, we can provide a solution for your desired application. 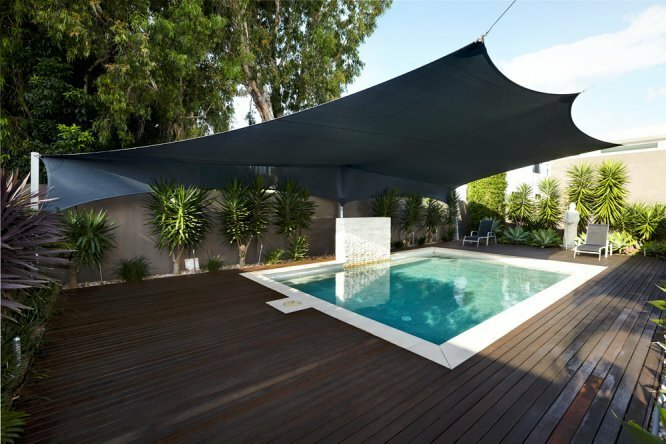 Unlike ordinary shade sails, Global Shade shade sails are manufactured to the best standards of quality using industry leading materials. To ensure longevity, we use high-quality PDFE thread for stitching and reinforce our shade sails with stainless steel wires. Our sails also come equipped with stainless steel D-Ring thimbles to minimize wear and tear at installation points. 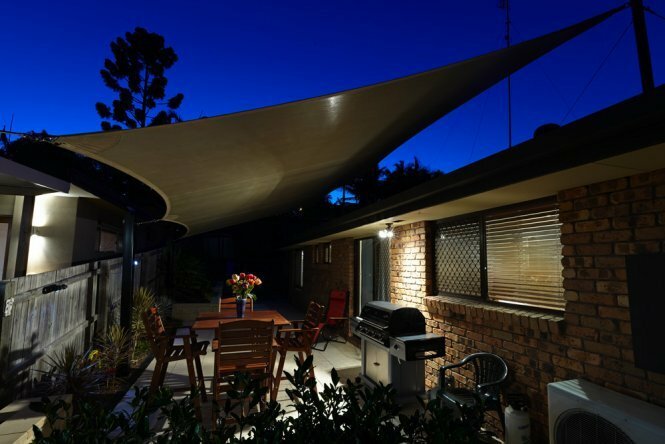 Our shade sails are designed not just to meet, but also to exceed Australian quality standards. They will far exceed your quality expectations – all at an affordable price! 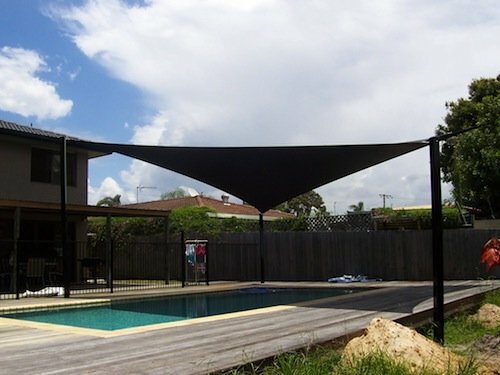 Global Shade shade sails are manufactured using industry leading shade cloth fabrics. 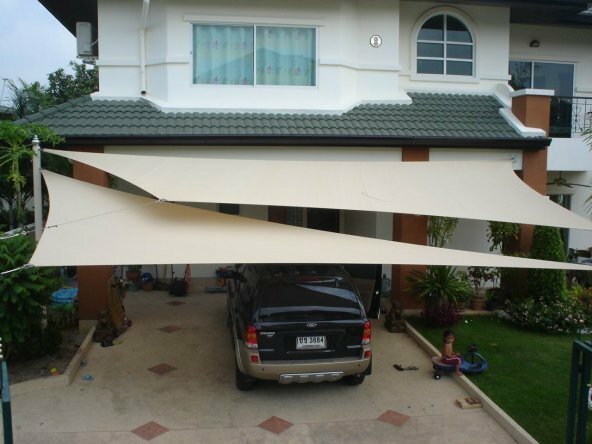 Due to this, our shade sails are exceptionally long-lasting and resilient to sagging and losing shape. 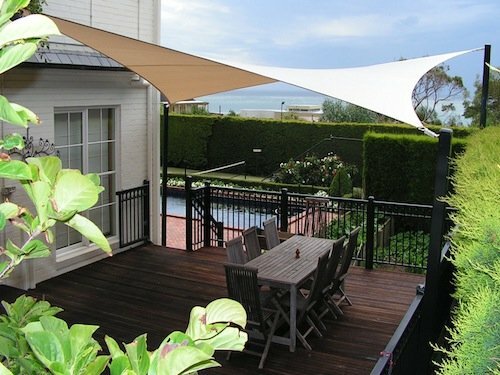 The shade fabrics we use come in a range of colour options and also offer excellent UVR protection. We provide extended warranties on all fabrics used in Global Shade shade sails. 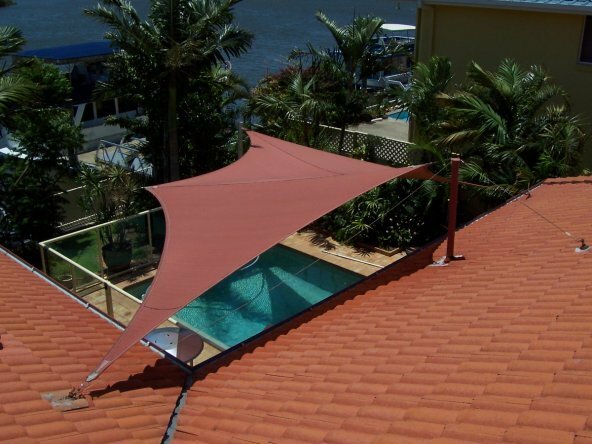 Residential shade sails – Used to cover outdoor entertainment areas, cars, pools, and campers. 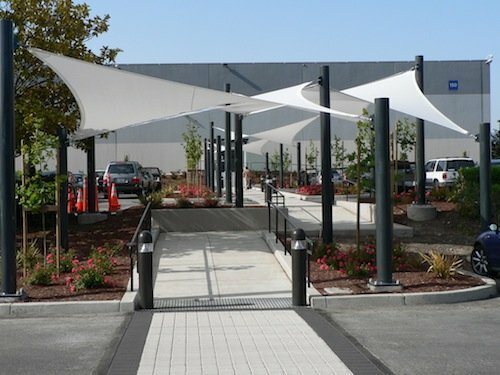 Commercial shade sails ­– Used in a variety of applications ranging from restaurants and cafes to shopping outlets. 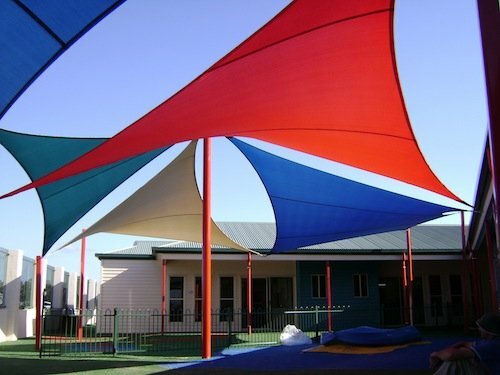 Waterproof shade sails – Used to provide shade in all-weather conditions. Shade structures – Custom designed shade sails to provide maximum shade coverage on a budget. 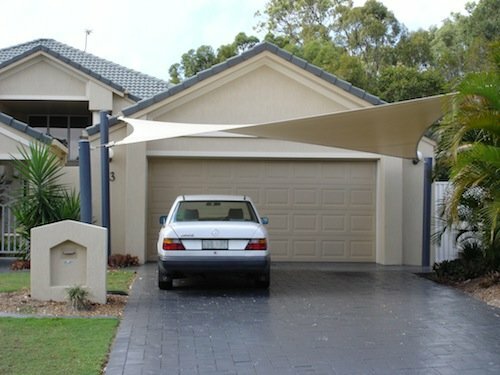 Car shade sails – Used across carparks and carports to protect vehicles from the sun’s rays. Playground & Park shade – Used by schools, kindergartens, and local councils to provide much-needed shade in parks and playgrounds. 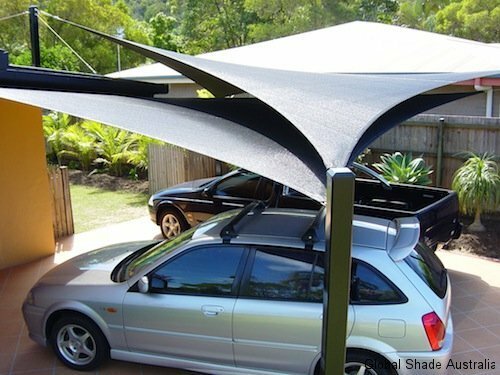 Global Shade takes pride in offering quick shipping and delivery across Australia. 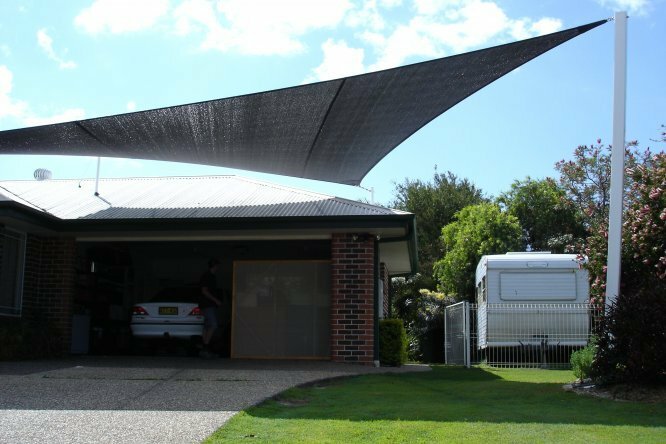 When you purchase a shade sail from us or any of our licensed installers, we will usually get it delivered within 10-12 working days. Please note: We recommend that you should use experienced installers to install our waterproof shade sails. 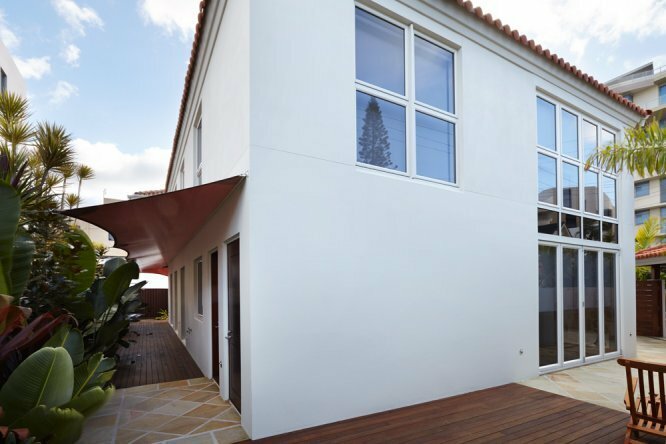 Please contact our licensed installers for proper installation of our shade products. If you’re looking for an affordable shade product that offers great outdoor weather protection and privacy, Global Shade’s shade sails are the ideal choice! 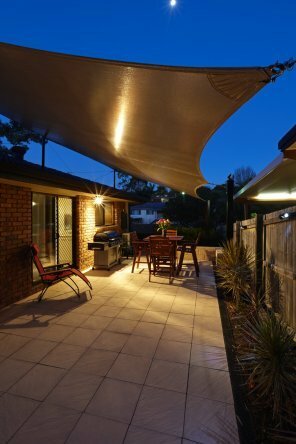 Whether you’re located in Brisbane, Gold Coast, Sydney, Melbourne, Perth, or anywhere in between, we will be able to put you in touch with a local licensed shade installer who can design and install a custom shade sails to meet your needs and requirements. Experience the best in quality with Global Shade sails! Contact us for a free quote today!